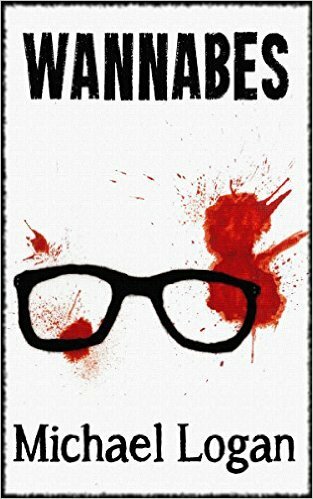 Wannabes is a wonderfully nasty, unexpectedly warm, funny, insightful, and clever satire that should feel like a fusion of John Niven’s Kill Your Friends and Second Coming, except that Logan’s Wannabes is much funnier, infinitely more skilfully-written and wholly more relatable than Niven’s work. Logan’s writing in invigorating, inventive, wholly engaging and oozes satirical insights throughout. This is a writer unhampered by over-editing or expectations who simply writes the very best stories he has to tell. Logan’s passion for his work screams from the page. By the book’s end he has managed to pull the reader into the murky, classy, imaginatively filthy worlds of the music business, Heaven and Hell, and the psyche of a predatory serial killer. Logan writes these characters extremely vividly and engages his reader so skilfully, that he or she comes to care about even the filthiest, most depraved of them, simply due to his passionate writing and his skill in presenting many-layered characters, whom Logan makes you empathise with and invest in, despite their flaws and sometimes crass behaviours. With Wannabes Logan is an exciting new voice and joins a new breed of Indie and Hybrid authors, such Ryan Bracha, Gerard Brennan, Keith Nixon and Craig Furchtenicht, in producing quality, engaging, hugely imaginative and original, modern-feeling literature that oozes skill and creativity. For me, Logan is my literary find of 2015 so far. You can find Michael Logan and his books at Amazon UK and US, as well as at http://www.freelancelogan.com/logan/. This entry was posted in book review, books, literature and tagged Michael Logan, religious satire, Scottish fiction by MW. Bookmark the permalink.